The Federal Energy Regulatory Commission (FERC) is the lead federal agency responsible for ensuring the development of safe, reliable, secure and efficient natural gas infrastructure. The FERC approval process involves a detailed review of the proposed design of the facility to ensure a high level of safety and assessment of any environmental and community impacts. 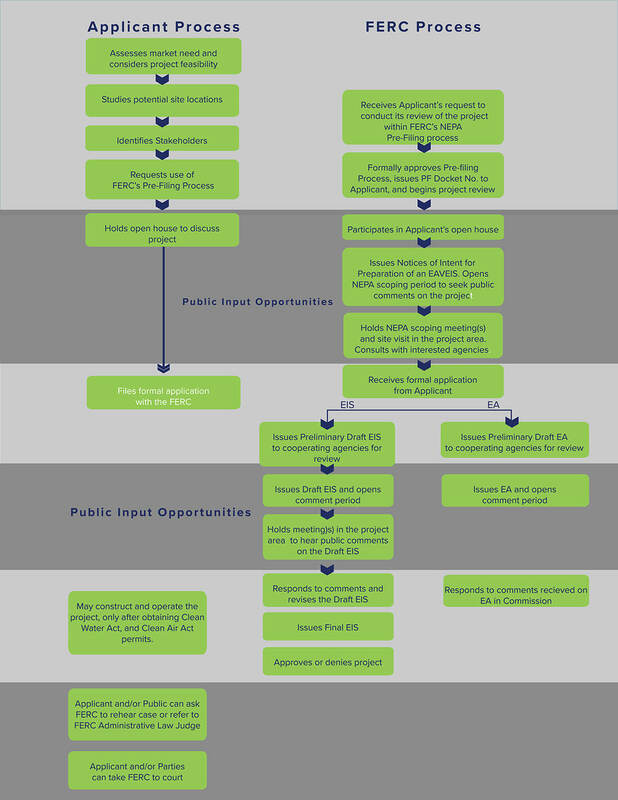 A flowchart of the pre-filing environmental review process is illustrated below. Further information about the FERC review process can be found at www.ferc.gov.